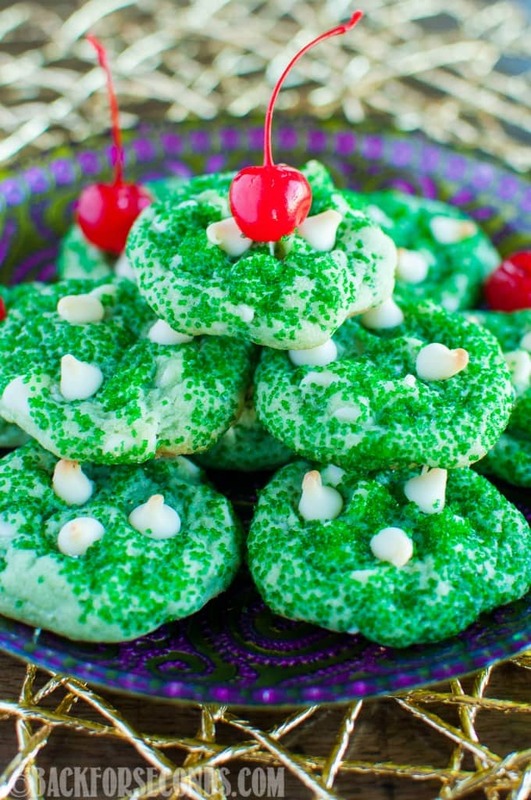 Grinch Cookies taste just like the popular Shamrock Shake! 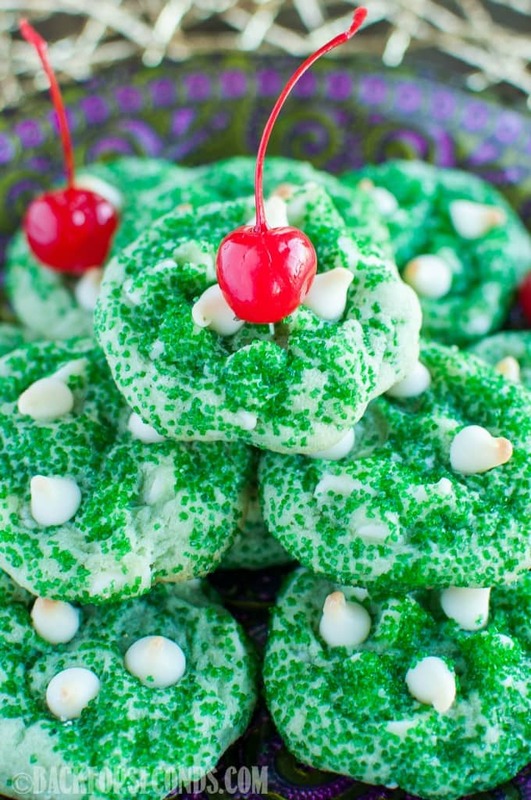 These cool, minty, soft, and chewy cookies are perfect for Christmas cookie exchanges! Who doesn’t love “How the Grinch Stole Christmas”?. We watch it every year at Christmas, and this is the perfect treat to eat during the movie! Make a batch of the World’s Best Homemade Hot Cocoa, cuddle up under a blanket, make a plate of these Grinch cookies, and enjoy! I have never been big on cutesy holiday food. Mostly because I am not much of a decorator. But I still enjoy making food look festive and fun – just as long as it’s quick and easy. Enter these yummy cookies! Every March the Shamrock Shake comes back, and everyone goes crazy. I haven’t had one in a couple years but I always liked them as a kid. 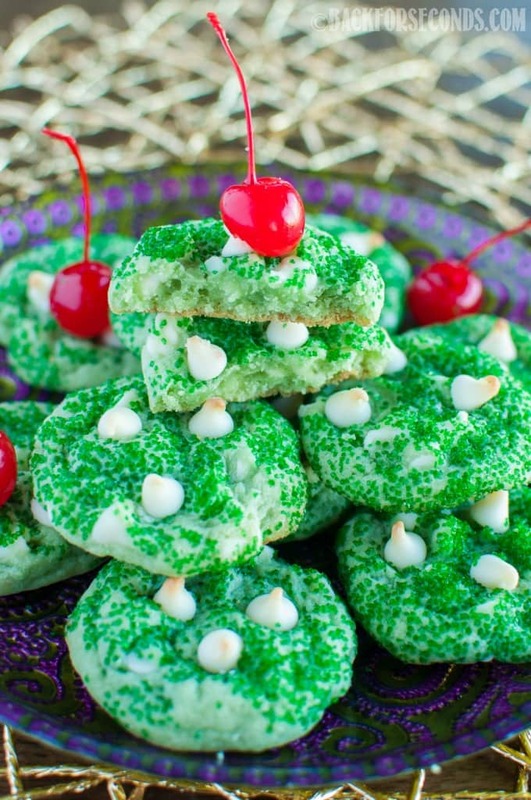 These cookies have that same cool minty flavor and color we all love in the Shamrock Shake but you can make these anytime you want! The colors and flavors are just too perfect for Christmas time too! Especially for Grinch lovers! Before these cookies were even gone, my kids were already asking me to make them again. I guess that means these were a hit! Make them for Christmas, St Patrick’s Day, or a random Monday. Enjoy! 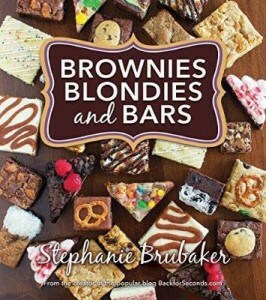 Get my new cookbook, Brownies, Blondies, and Bars here – makes a great gift! How fun!! 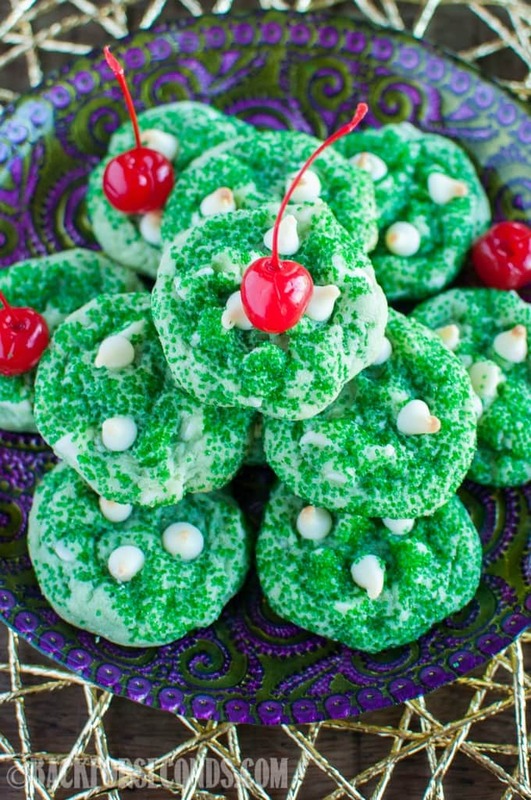 These cookies look so festive and yummy. Perfect for St. Patrick’s Day!! These are so cute and festive! My boys are gonna love these for Saint Patrick’s Day! These are so fun! My kiddos would love these! We’re slightly obsessed with the shakes so these will definitely be on our list to make this week! 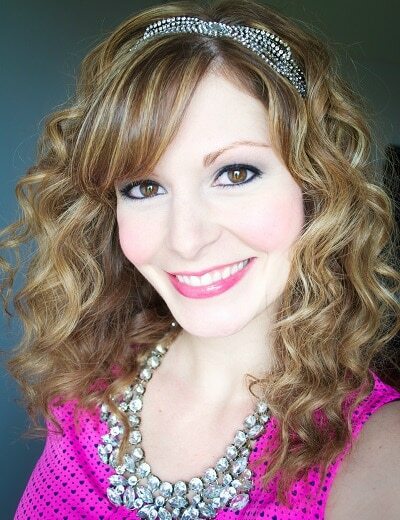 Super cute!! I never heard of the shake and now I want to try it…and your fun and festive cookies!!! Those look so fun, my kids would especially love these! Have you tried the Chocolate version?! SO GOOD! Can’t wait to try these cookies! Yum I’ll have to try your shake as well as these delicious looking cookies! Is this a softer cookie or a harder cookie? They are soft and chewy, but the green sugar crystals add a little crunch on the outside. Enjoy! What a fun idea. I know my nephew is going to flip over these!